Once upon a time the church was surrogated by the monastery buildings but they were harmed and could not stand. 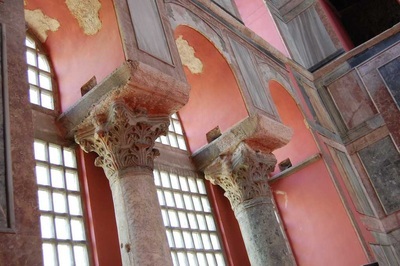 At the present the visitors can see the relics of those monasteries in around the church. 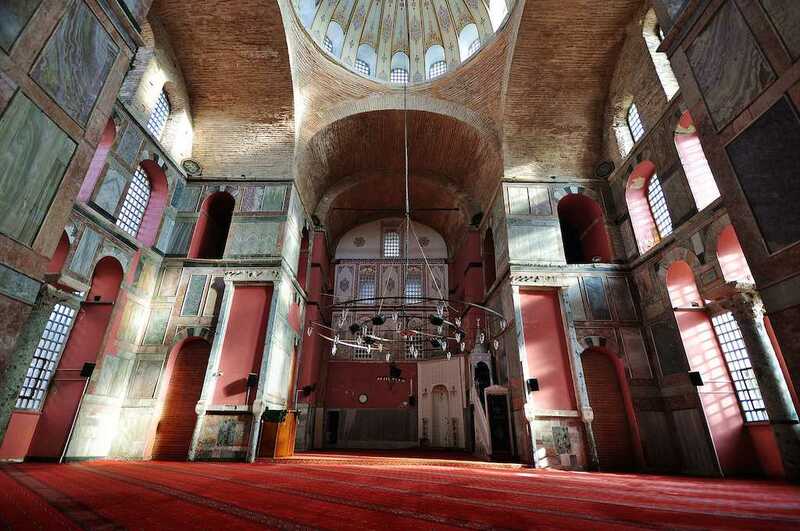 But after the conquest of Istanbul, that charming basilica was transformed into a mosque by Aga of Babüssaade (Palace), Maktul Besir with the order of Ottoman Sultan Fatih Mehmet, the conqueror. It was allocated for dervishes who were member of Kalender religious order. 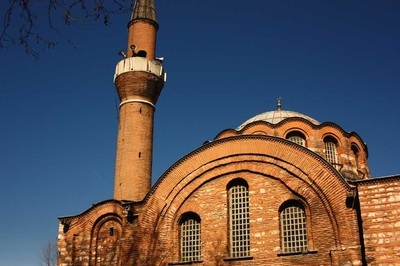 Because of that, the mosque was named as Kalenderhane. In 19th century, it was damaged in a fire; the naves, the saloon on narthex and marble facings, mihrab and mimbar were harmed due to that fire. In 1854 it was repaired. In 1930, as a result of lighting strike, it was damaged again and its minaret was collapsed. 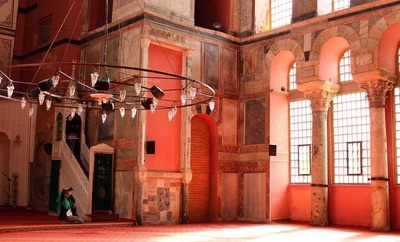 Until 1965, ıt has used as a home for homelessness, waiflike people. Finally, between 1966 and 1975, in the consequence of the searches and excavations organized by Istanbul and Harvard University, it was highly renovated and opened to the worship. 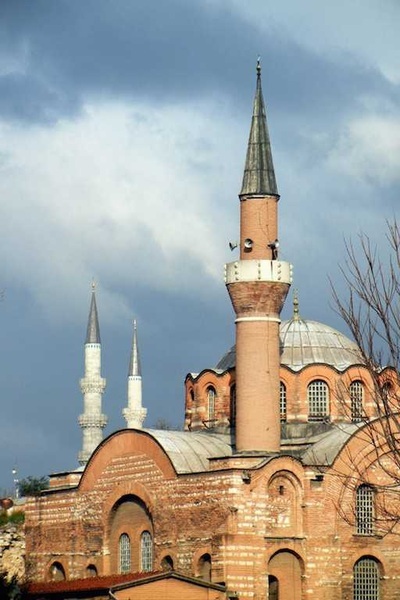 Reflecting to the Byzantine Period, the dome of that structure with planned the shape of Greek cross has high hoop, little diameter, windows creating fascinating an atmosphere and corners with pendant. Additionally, ıt has come into the center of the Kalenderhane Mosque from the narthex covered with vaults. The center of the primary construction is covered by a pendant dome. The main dome of the mosque is supported by a barrel vault, so the ceiling structure is visible. 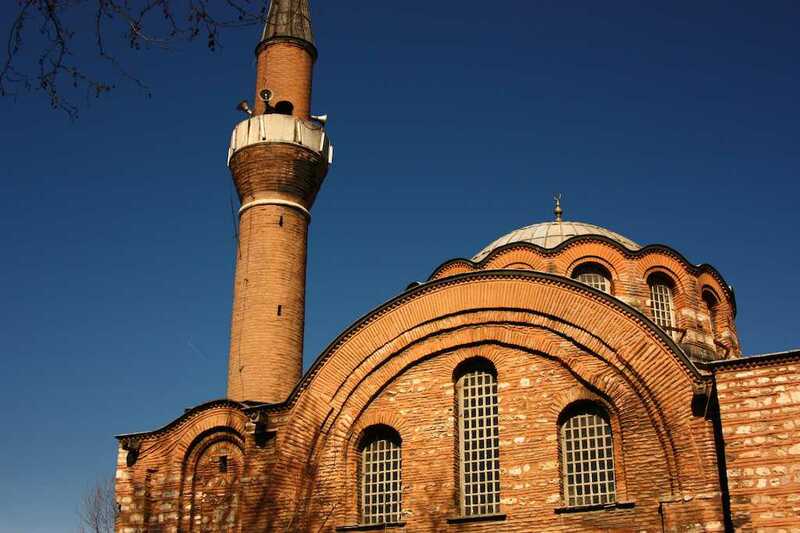 The walls of the mosque comprises of both bricks and stones. 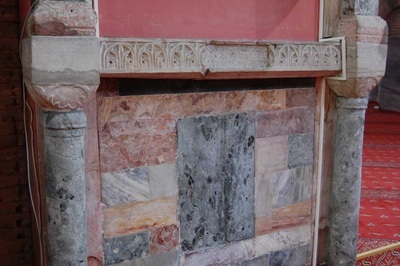 The inner walls are furnished with beautiful colour marble panels and reliefs. It is now open for prayer and to domestic and foreign visitors.